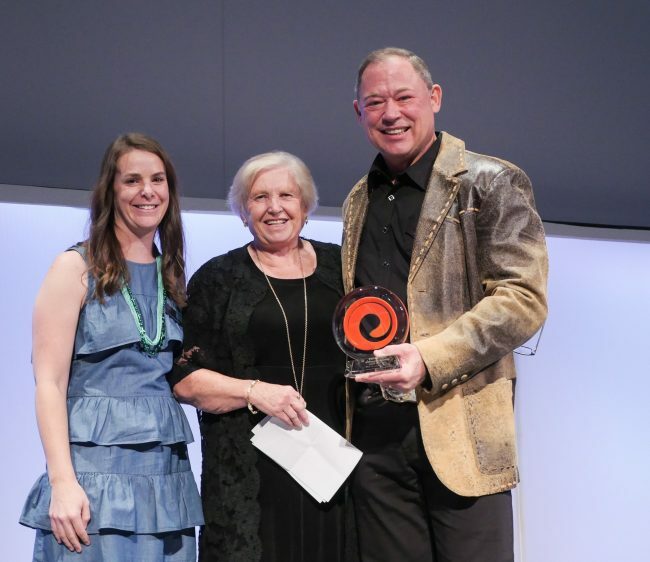 Tim Laney, our Chairman, President and CEO was recognized as Third Way Center’s Community Award Recipient for 2018. The True Grit event, where Tim was recognized, raised over $500,000 for Third Way Center. Community Banks of Colorado associates prove their dedication to the communities in which they live and work through volunteer efforts with numerous charitable and civic groups that support education, quality housing and workforce development, as well as with schools, hospitals, churches, and local governments. It’s how we stay connected, grounded, and involved. To put it another way, our associates put the “Community” into Community Banks of Colorado every single day. This is more than just our Corporate Social Responsibility, it’s our way of life. It’s common sense, the way banking was intended to be. 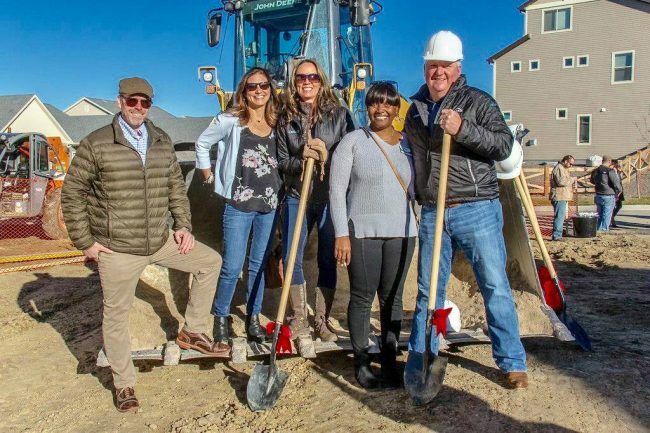 Community Banks of Colorado was proud to sponsor the St. Jude Dream Home Giveaway in Colorado Springs. They helped make dreams come true for St. Jude families. 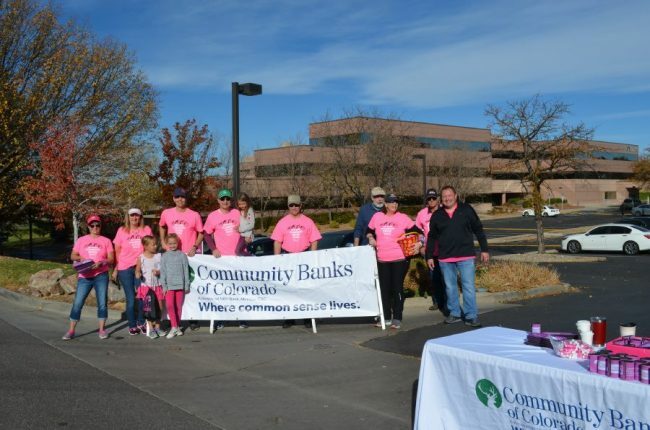 Our Greenwood Village team hosted the Making Strides Against Breast Cancer walk in their backyard in October, and were proud to be a sponsor of the event as well. Through efforts from associates and clients, our team raised over $5,000 in support of breast cancer research. Learn how we give back. We offer positions that suit a variety of experiences and backgrounds.